We have been discussing when the bulk of Samsung’s smartphone lineup could expect to see Android 4.3, which would include compatibility for the company’s Galaxy Gear smartwatch. After last week, when an internal document leaked with all of the supposed release dates for the 4.3 updates for each device, Samsung has now confirmed this morning that the updates will begin rolling out as early as today. While each update for each carrier is different, which is exactly what we saw in the leak, at least one of them should start today according to the document we saw last week, beginning with the Galaxy S4 on Verizon. Although, that has yet to be confirmed by Verizon or Samsung. If you would like an unofficial look at what date you should expect to see an update, check out this post. 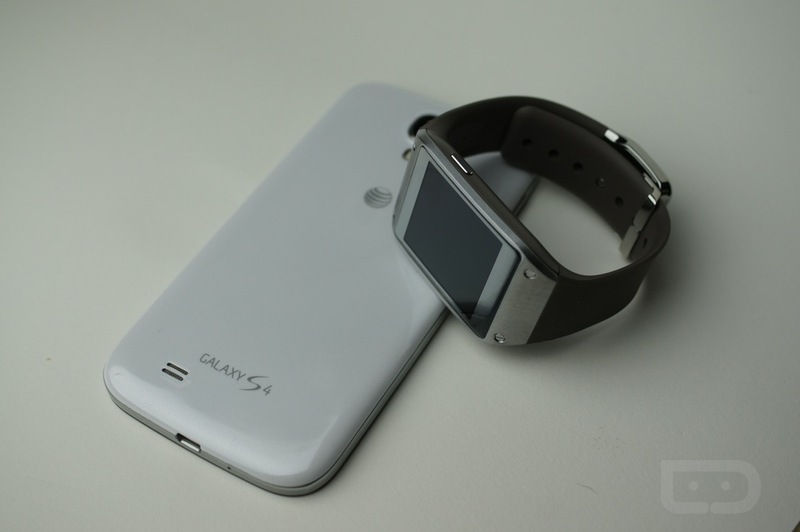 The update will bring Android 4.3 and Galaxy Gear support to each device, as well as Sammy’s Premium Suite of software; the exact same goodies you see on its current flagships like the GS4 and Note 3. These goodies include camera software, Multi Window enhancements, Easy Mode, and more. If you start seeing the update to 4.3, let us know. Dallas, TX – October 28, 2013 – Samsung Telecommunications America (Samsung Mobile) announced today that the Samsung Galaxy S® 4, Galaxy Note® II and Galaxy S® III will receive the Premium Suite software update in the coming weeks that makes the devices compatible with Samsung Galaxy Gear. Premium Suite timing and features vary by carrier and product, with updates beginning today. Galaxy Gear extends the Galaxy smartphone experience to your wrist and enhances everyday moments with real time updates for quick and convenient access. Now, owners of the latest Galaxy smartphones will be able to stay connected with discreet notifications and tap into the exceptional features of Galaxy Gear, such as hands-free calling, music control and S Voice™ access. In addition to Galaxy Gear compatibility, Samsung’s Premium Suite will bring Android 4.3 and additional features to these premiere smartphones. The update brings the flagship experiences introduced on the Galaxy S 4 to the Galaxy Note II and Galaxy S III including updated Easy Mode, Multi Window™, advanced camera options, and additional features with new functionality. All of the smartphones receiving the update are SAFE™ (Samsung for Enterprise), giving users the confidence that their device is suitable for use in the workplace. Additionally, the devices will be ready for KNOX™, Samsung’s comprehensive solution that enhances Android security from the hardware layer to the application layer and allows users to safely and efficiently separate work and personal data on a single device. The Galaxy S® 4 mini and Galaxy Mega™ will also receive an update in the coming months to be compatible with Galaxy Gear. Timing for Premium Suite and features in software updates will vary by wireless carrier and product. For the most up to date information on update timing and availability by product and carrier, please check with your carrier and visit www.samsungmobileuspress.com. Monday Poll: White or Black Nexus 5?